I'm a chili fanatic and I eat almost everything with chili, be it Sriracha sauce, Tobasco sauce, Peri Peri sauce, or Chinese chili oil. I used to buy the chili oil from the Chinese grocery store at about $3 to $4 a bottle and it would be gone in no time. 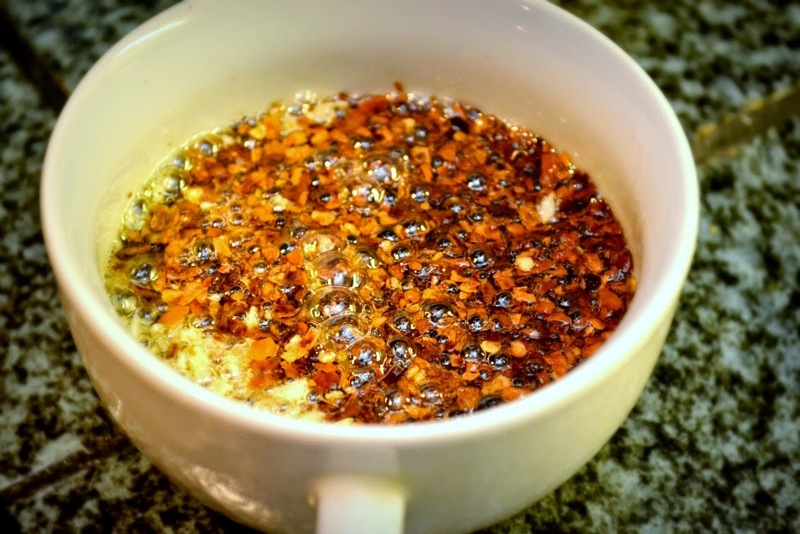 This recipe uses chili flakes that I can buy in bulk from Costco, making it a very economical substitute, especially for such a chili crazy family like mine. This chili oil can be added to stir frys, fried rice or noodles and even some simple eggs for a nice kick. 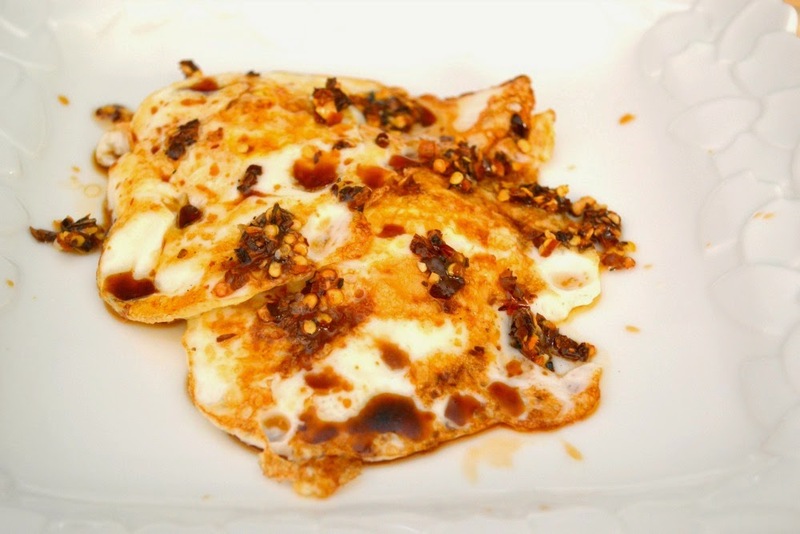 My fried, over easy eggs with a drizzle of soy sauce and Chinese chili oil. Makes about a half cup. 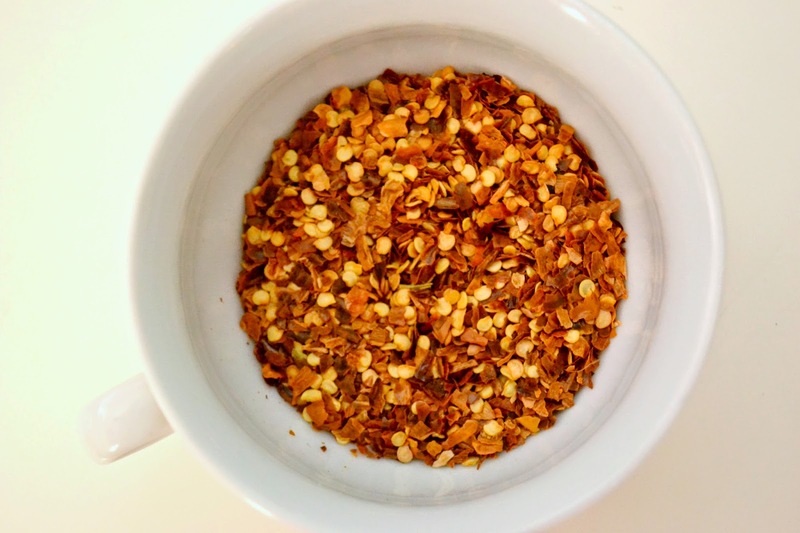 Place the dried chili flakes in a bowl that is heat resistance. Ceramic is best. Do not use plastic or metal. 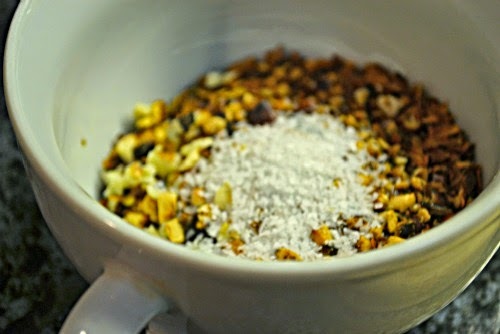 Add the minced garlic, chopped peanuts (if using) and salt to the dried chili flakes and set aside. 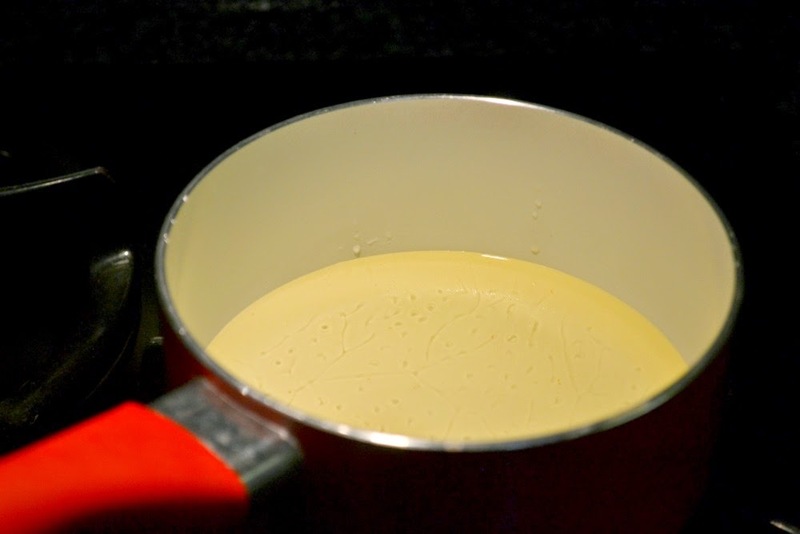 In a small saucepan, heat the vegetable oil until very hot, about 225 degrees. You can stick a wooden chopstick into the oil to test for heat. If it starts to bubble rapidly around the chopstick tip, the oil is hot enough. Turn off the heat. 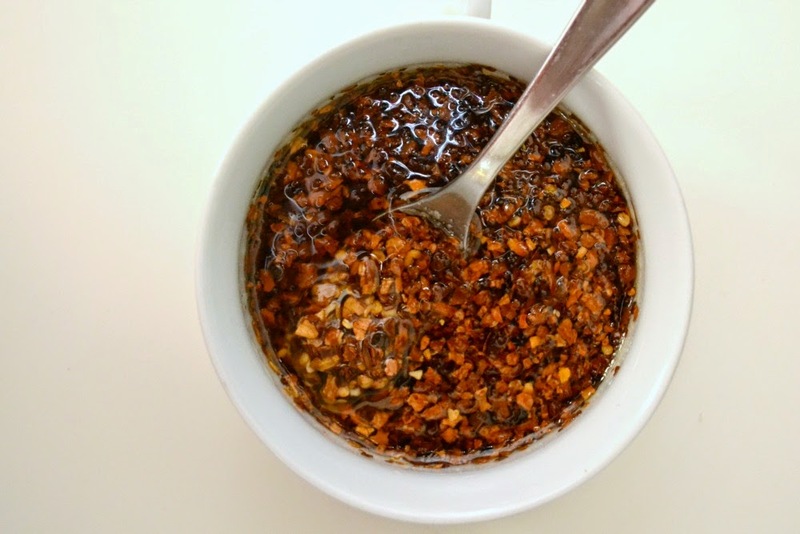 Carefully pour the oil into the bowl of chili flakes. You'll immediately hear it sizzle and bubble. Leave it alone for about 15 minutes, until it stops sizzling or bubbling. Stir and mix ingredients well. After the chili oil has cooled down completely, you can transfer to a lidded container and store at room temperature in a cool place. It should last at least two weeks but it is usually gone after a week in my household. 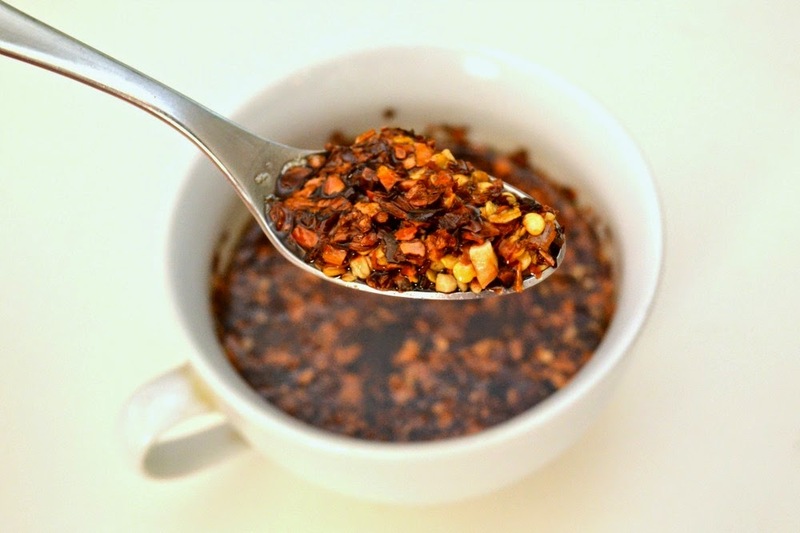 The chili oil tastes better and more flavorful the longer it sits and has a chance to infuse.